This is one of my most popular offerings of the year. The woods are magical in the early Spring. Join herbalist, Erin Piorier, at a farm in the beautiful Cannon Valley for a Spring day of exploring the forest, gathering herbs, medicine making and herbal education. We’ll spend our morning hiking into pristine Minnesota hardwood forest to meet the beautiful Spring Ephemerals—those wildflowers that only show their faces before the leaves on the trees burst out. 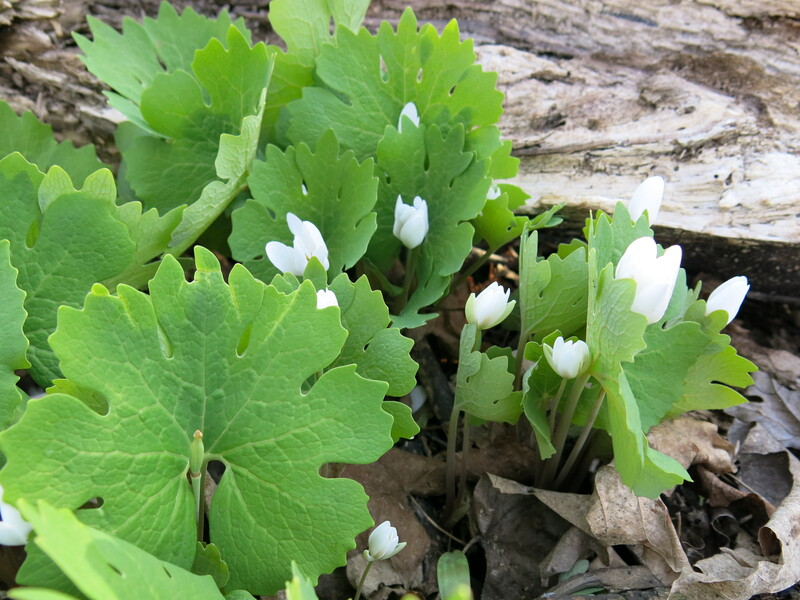 We will see many beautiful flowers and useful medicinals including Bloodroot, Trillium, Wild Ginger, Blue Cohosh, Hepatica, Trout Lily, Spring Beauty and many more. Our afternoon will be spent making and exploring herbal medicine. Participants have many options for the afternoon. 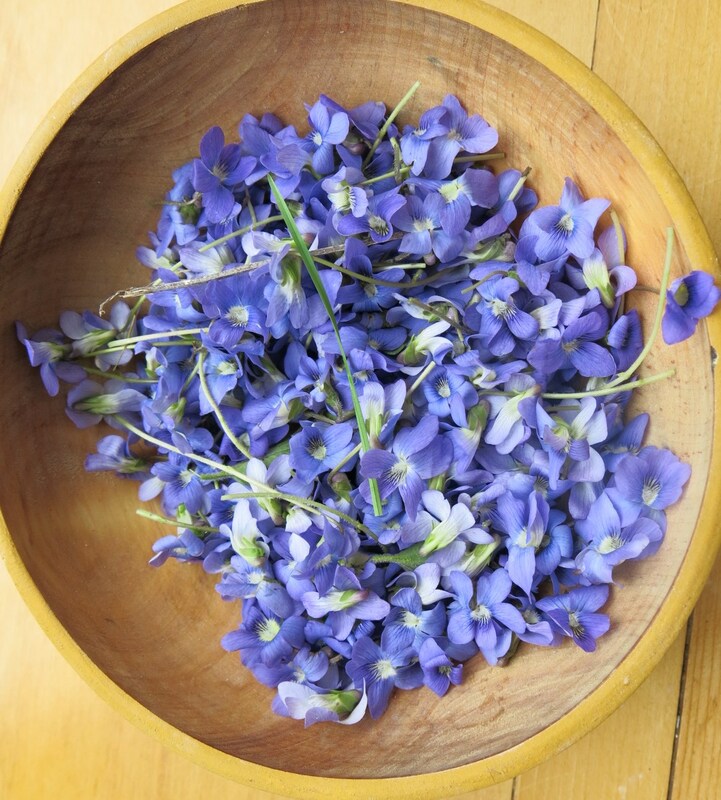 A favorite activity is harvesting and making a delicious Herbal Tonic Syrup as a group from wild spring plants. Everyone will get a bottle to bring home. While the syrup is simmering I will offer an optional short lecture on a topic to be announced . Experienced medicine makers may choose at any point to harvest and prepare many of the herbs abundant on the farm. Many years we have time for everyone to harvest medicinal plants and beginners will be guided through the process. Some of the many plants that may be available this time of year at the farm include Raspberry Leaf, Red Clover, Mullein Leaf, Cleavers, Horsetail, Violets, Nettles, Catnip, Motherwort, Shepherd’s Purse and others.
. **This workshop involves up to two miles of hiking over moderately challenging (hilly/rocky) terrain. $60 —Price includes a hearty, vegetarian, gluten-free lunch. At a farm just outside of Cannon Falls. That’s about 40 minutes from St. Paul and 50 mins from Minneapolis.